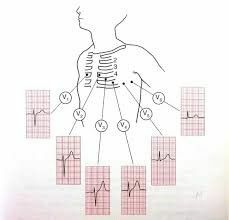 This course will simplify cardiac rhythm recognition so that you can quickly & easily identify rhythm changes (why they occur, their clinical relevance and how to manage them), You will then be guided through the process of performing a systematic 12 lead ECG interpretation to assist in identifying the patient having or had an AMI. It is ideally suited for all nurses in acute areas where routine monitoring and performing ECGs are conducted. Course Facilitator: Mr Simon Plapp, (RN, BHSc., Post Grad Dip (ICU), M.Hlth Ethics,,MACCCN) has extensive experience as an ICU Educator and simplifies complex topics in a thought provoking and entertaining manner, using clever analogies and interactive teaching strategies. He is Vic ACCCN’s Rep on the Australian Resuscitation Council (ARC). The temperature in our centre runs at 20º C. Please dress to suit this temperature – bring a jacket/warm top. A minimum of 72 hours’ notice prior to the event is required for cancellation and fee reimbursement. Registration fees will not be reimbursed for non-attendance. Enquiries to the Learning and Development Centre on 03 5551 8343.